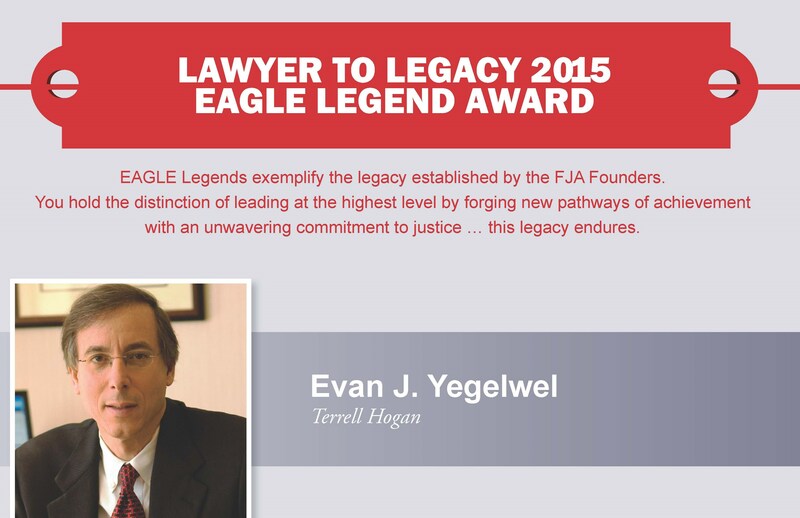 Terrell Hogan Yegelwel partner, Evan J. Yegelwel, received the Lawyer to Legacy 2015 EAGLE Legend Award this year by the Florida Justice Association. Congratulations to Evan for this important recognition. The Florida Justice Association each year honors prominent attorneys in the state of Florida who have distinguished themselves in service and generosity to EAGLE. 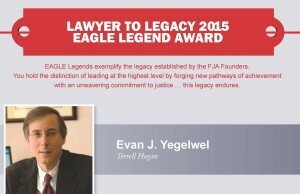 The EAGLE Legend Award is presented to those who demonstrate a great degree of commitment to the Florida Justice and the preservation of the civil justice system. EAGLE members at this level have established true legacies in their craft. They understand the importance in giving back, the sense of accomplishment derived from doing all they can to make a difference in the lives of all Floridians, and the honor and recognition that EAGLE membership brings for their success as an attorney, their excellence in their craft, and their pledge to our culture of commitment to justice. Evan has been a member of the firm for over 30 years. 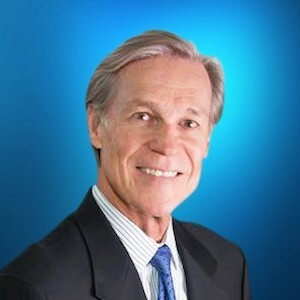 He is a Florida and National Board Certified Civil Trial Lawyer, has focused his personal practice in the field of personal injury, products liability and mass torts with particular emphasis on precedent setting cases for victims of asbestos diseases, those addicted to cigarettes, and victims of the 9/ll terrorist attacks. Evan has tried many asbestos cases to juries and has obtained some of the largest jury verdicts in Florida for compensation and for punitive damages for victims of asbestos diseases. He has chaired seminars and has lectured nationally and internationally on mass torts. Evan is devoted to his clients, his profession, and his community. He thinks. He works. He makes the right choices. No one could hope to have a better law partner. For over three decades, he has been dedicated to our law practice. For me, personally, seeing and visiting with him each day has been a daily joy. He’s a consummate trial lawyer and a great friend. But in the end, Evan’s greatest legacy is his family. Devoted to his family, as he is to justice, Evan has been married to his wife Arlene for more than 35 years. They are the proud parents of two daughters — Esther and Tania, and recently celebrated the arrival of twin grandchildren. Congratulations again, Evan, for this wonderful award.